Bowflex is one of the leading manufacturers of advanced in-home fitness equipment. The company is known for producing revolutionary fitness equipment that’s often in a class of its own. Today, we dissect one of Bowflex’s most popular machine, the Max Trainer. 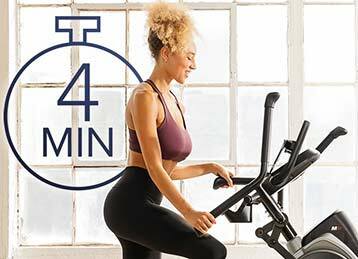 This machine combines several exercise machines to create a fitness platform that is truly unique. 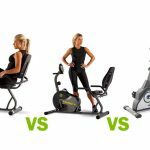 This comparison guide will break down the available Max Trainer models: Max Trainer M3, Max Trainer M6(M5), and Max Trainer M8(M7). After reading this guide, you’ll understand the differences between the different models, how their features compare with one another, and which machine will work best for your you and your home. Our buying guide will help you find the best Bowflex Max Trainer for your home. The Max Trainer burst onto the fitness scene as the ultimate in-home exercise machine. The model combines a stair-climber and an elliptical into one compact machine. The revolutionary device offers zero-impact training and burns up to 250% of the number of calories burned using a stair-climber or elliptical alone. This means that you can get a thorough, full-body workout in as little as 4 minutes. These machines are a revolutionary option for beginners, due to the zero-impact exercise motion, so it’s easy to get started. Plus, resistance is adjustable so more athletic users can get a good burn as well, so even advanced users will see results after a few weeks of using one of these machines. Bowflex offers these machines in a variety of models to fit the needs of different users. No matter how advanced your workout is or how long you’ve been working out, there is a Bowflex machine that will fit your needs. 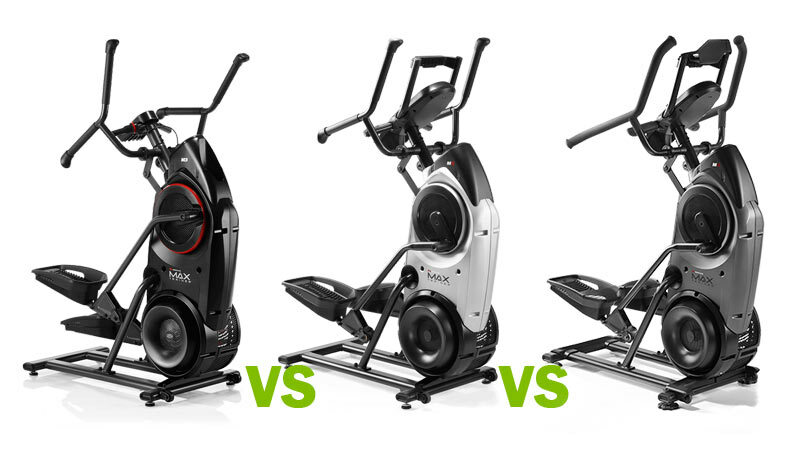 Before we analyze each model individually, let’s take a moment to take a look at the Bowflex Max Trainers collectively. Each Bowflex Max Trainer has a couple of attributes that are universal to all four models. Each machine more or less functions the same way, with the same effectiveness of a stair-climber and elliptical combined. All of the machines have an adjustable resistance setting and a display screen to track session information. You also get pre-programmed workouts when you buy any Max Trainer machine but, depending on the model you choose, the number of included programmed routines changes. Bowflex also includes a comprehensive warranty with all Max Trainer machines that covers both the frame and the parts for a varying period depending on which model your purchase. Although all Max Trainers share these common traits, there are differences in quantity and features between models in regards to these common areas. The M3 is the entry-level Bowflex Max Trainer model. It’s a reasonably priced option if you are a beginner to at-home exercise equipment. 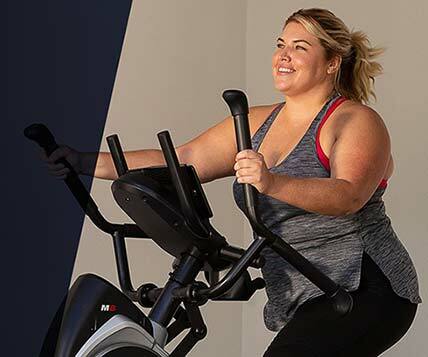 This model offers the revolutionary Max Trainer at a more affordable price, so it’s a great option if you’re more interested in the machine than the frills. This model has all the features you need to exercise more efficiently with less impact on your bones and joints. The specialized hybrid-exercise movement well helps you build up core strength and improve cardiovascular health. This is the machine you want if you want to get in shape, at home, without breaking the bank. 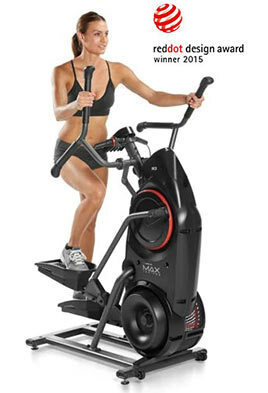 This model features the lowest price out of all the models available in the Max Trainer lineup. If you are focussed on the physical benefits of using this machine, you may not care for all the frills on the other, more expensive models. There is a $500 price difference between the M3 and the M6, so it’s a large jump in price to the next model. 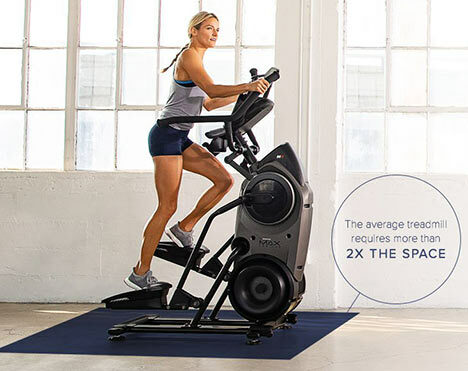 This machine doesn’t offer the full range of exercise features as more advanced models, so it isn’t accurate to say that it offers the same workouts as higher-priced models. For example, other models feature additional resistance levels, more pre-programmed routines, and improved ergonomics. However, you get the lion’s share of effective features for a significantly reduced price. Bowflex includes a warranty with all of the Max Trainer machines. The machines cover the frame and parts in what essentially a total-machine warranty. When spending a large amount of money on a piece of equipment like this, it’s a tremendous comfort to know that the equipment is covered by a comprehensive warranty. All Max Trainer models feature the Bowflex total-machine warranty, and the M3 is no different. It has a one-year warranty that covers both the parts and frame, in case you have any problems. You can buy this machine with confidence because Bowflex has your back in the event you should have any problems. The Bowflex Max Trainer M6 is the upgraded and improved version of the popular M5. This model is the midpoint between the premium trim M8 and the entry-level model, the M3. The M6 is one of the best-selling Max Trainers and is often the most the most appropriate model for the average user. It showcases all of the same features of the M3 with key improvements in several areas. 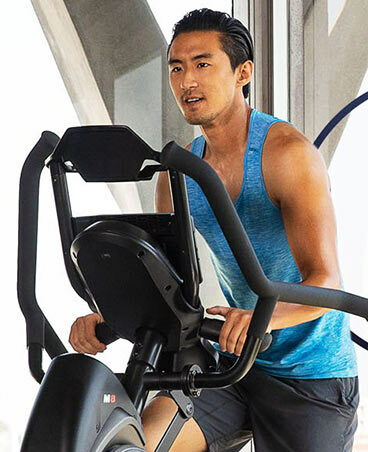 This is the most affordable model to feature connectivity with Bowflex’s Max Intelligence™ App, which offers an interactive and integrated exercise experience that helps you stay on track and meet your goals. 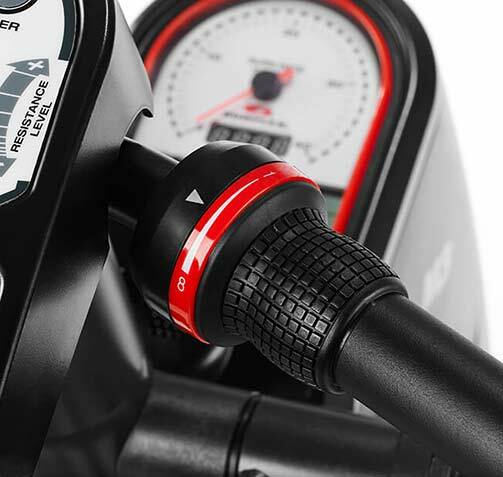 It also features several other improvements over the M3, including upgraded hand grips, an adjustable media shelf, and an integrated heart rate monitor. The M6 offers a practical balance of features and cost that makes it a great choice for anyone focussed on getting the most out of their money. This is the first model on our list to support Bowflex’s Max Intelligence App. 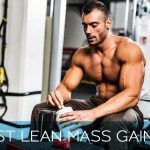 This app is a high-tech training program that uses your personal exercise data to formulate a continually customized exercise routine that’s built to fit your fitness level and training goals. The app uses a subscription model for pricing, with month-to-month plans starting as low as $14.95. Max Intelligence creates personalized workouts that are flexible enough to use regularly. For example, if you’re low on time the Max Trainer can adapt your workout to make it more intensive and thus compensate for the reduced workout time. The Max Intelligence App features cutting-edge AI that analyzes an immense amount of data that give it the ability to create truly effective guided exercise programs for its users, and it gets high marks from users on its effectiveness and intuition. This machine features several upgrades over the M3 that make it more comfortable to use. In addition to all the digital upgrades, this machine also has ergonomic improvements of its younger, lower-priced sibling. The hand grips have been upgraded with dynamic, multi-grip handles, and the pedals have been improved with additional padding. Also, M6 has an improved, adjustable media rack for holding your smartphone, tablet, or e-reader while you exercise, and the heart-rate monitor has been integrated directly into the machine as contact grips. 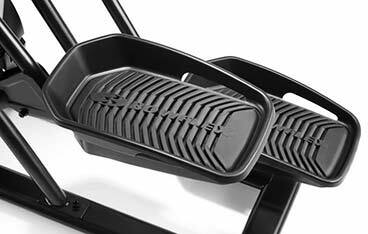 These features combine to give the M6 improved ergonomics and user comfort. This is the deluxe model Bowflex Max Trainer and it has the full suite of available features. This machine is smarter, more comfortable, and more intuitive than any other model in the lineup. The machines improved ergonomics make exercising easier and more comfortable than any other Max Trainer model. This model offers all of the best technology Bowflex can cram into one machine and when you connect with the Max Intelligence app, it becomes a comprehensive fitness platform. Enjoy the full-suite of deluxe Max Trainer features, including improved ergonomics, more custom settings. This model is slightly larger than its siblings, but it is still considered a compact fitness machine. This machine has a heavy price but, for the cost, you get a fully-loaded machine that’s built for the modern athlete. Bowflex also offers the Max Trainer M8 Performance Pack, which includes a few extras to make your experience using the machine more enjoyable. First, you get a gym-quality mat to put your Max Trainer M8 on to help stabilize it and provide a steadier platform when exercising. The machine also includes a 9.6” Samsung Galaxy E Tablet, an ideal device for connecting with the Max Intelligence App. Together, these two add-ons provide everything you need to get the most out of your machine and enjoy its full range of features. This model offers more customizable settings than any other Max Trainer. There are 20 different resistance levels to choose from, so you can tune this machine to fit any routine. You can save up to four user profiles on the M8, so it’s a great choice for a busy household where more than two people will be using the machine regularly. By connecting with the available Max Trainer app, you can connect with dynamic, AI-formulated exercise routines to keep you motivated and focused. 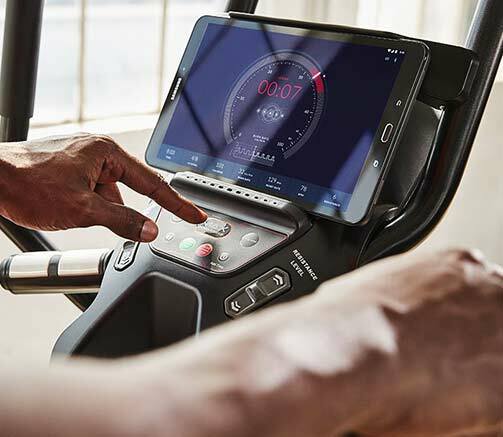 As the flagship Max Trainer, the M8 offers the full suite of available Max Trainer features and digital connectivity options. Almost every part of this machine is upgraded in some way over the M6, and the machine provides an upgraded, more comfortable exercise experience for users. The display has been upgraded to a dual-mode LCD/LED screen, improving readability and giving the user more instantaneous feedback. The machine itself has also been upgraded in a few key areas, including enhanced pedals, multi-grip handles, aero bars, and more. It’s also slightly larger and, resultantly, more stable, so it’s a great choice for heavier users. All and all, this model showcases all of the best features Bowflex Max Trainer has to offer, and Bowflex even offers a performance package that includes a floor mat for the machine and a Galaxy tablet to use with the Max. Since these machines are all the same make and design, it’s obvious that the premium trim is the winner in a head-to-head comparison. 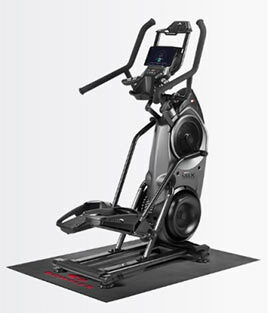 In this case, the M8 is the premium edition of the Bowflex Max Trainer and it features the entire suite of available features. When choosing a model for your home, you need to consider what kind of monetary value you would put on the features available with each individual model. Then, you can make an educated decision on which model is worth its price tag. To help you along in the process, we’ve highlighted our picks for the best options for certain types of users. If you want to enjoy the powerful training capability of a Max Trainer with as little damage to your bank account as possible, the obvious choice is the M3. It’s a no-frills, total-body fitness platform that provides enhanced calorie burning and muscle stimulation at the lowest available price of all the Max Trainer models. It doesn’t connect to the Max Intelligence app, so if you were interested in using the subscription AI-training app you’ll need to spring for another model, but it’s otherwise a sound option for anyone in the market for an in-home machine for high-intensity interval exercise routines. The amount of pressure we put on our joints increases with bodyweight so heavier people need to take extra easy on their joints to compensate for the increased daily workload. For about $500 more than the entry-level M3, you’ll enjoy expanded functionality and improved ergonomics and comfort. The machine has several upgrades, including an improved media rack, enhanced display, ergonomic hand grips, and more. All of these improvements make the M6 more enjoyable to use, but the real game changer is the support of the Max Intelligence app. For a monthly fee, the app will connect with your machine and create custom workouts based off your fitness level and modify them as you use your machine to digitally coach you along in your training, ensuring that you’re continually challenging yourself and helping you achieve your goals. If you’re just getting into exercise, you want to choose a routine that is comfortable and realistic so that you will stick to it. The M6 has a blend of features that help new users stay engaged and comfortable and that’s why the M6 took a win in this category. Users can select from a variety of pre-programmed exercise routines that will keep their workouts fresh and interesting. Additionally, the unit is compatible with the Bowflex Daily Burn program, which offers video-guided workouts, and the Bowflex AI-based training program, Max Intelligence. These available digital features, plus several upgrades that enhance comfort, make this model a better choice for beginners than the M3. The Max Trainer is great machine for heavier individuals because of its zero-impact movement. The amount of pressure we put on our joints increases with bodyweight so heavier people need to take extra easy on their joints to compensate for the increased daily workload. For those same reasons, this is also an excellent machine for people with chronic joint pain or arthritis. The improved, gym-quality handles and pedals make the machine even more comfortable. Also, this model has slightly larger dimensions over some of the basic model, improving stability, and that’s especially important for larger individuals. If you have an active household and expect more than two people to be regularly using your machine, it will be worth it to spring for the M8. In addition to the full suite of comfort and connectivity features, the machine can support up to four different user profiles. Your entire household can enjoy all of the M8’s features, with each person having their own customized settings saved under their profile. It’s a great feature if your machine is going to be actively used by three or more people. If you have some basic level of technical knowledge it should not be too difficult. The product manual and a couple of youtube videos will probably serve you just fine. You may need a friend to help you by holding the machine steady during certain steps. You’ll need a 13 mm wrench, an allen key, and a Phillips head screwdriver to get the job done. Professional assembly is available throughout the majority of the US and costs $249. Yes, on average the Max Trainer is more than two times as effective as a regular treadmill. With the combined action of an elliptical and Stairmaster, this machine is a highly effective calorie burner. However, understand that this machine is designed for interval training and is most effective when you exercise in short bursts of maximum-effort intensity. A Bowflex warranty is available with all Max Trainer products, but the term varies depending on the model. However, aside from varying terms, the warranties are otherwise identical in their coverage and scope. Bowflex’s Max Trainer warranty covers the machine’s parts and frame from defects in materials and workmanship. The warranty is not transferable, and the company states on their web page that labor defects are only covered for 90 days. Yes, power is supplied by an included AC adapter. Your machine needs to be plugged in to work. Both the M6 and M8 models are connectable with Bluetooth, so you can easily sync your workout data to Samsung Health, Apple Health, or other fitness tracking applications using the Max Trainer 2 app. The app can record exercise data from your machine and transfer it to your preferred fitness tracking apps, so it’s easy to track your progress and stay motivated. The M5 and M7 are older Max Trainer models and are no longer offered. Instead, the M6 and M8 are the new and improved version of the two popular models. The M6 is the updated version of the M5 and offers several improvements in functionality and comfort over the M5. If you liked the M5 then you’ll love the M6. Additionally, the M7 has the same relationship with the M8. The M8 is the new and improved version of the M7. Yes. This is an excellent machine for users who have issues with their joints. This machine has a zero-impact exercise motion, so it puts very little stress on your knees, ankles, hips, and other areas that can be problematic for people with joint pain.